Portugal was the biggest winner at the latest World Travel Awards: the country was elected World’s Leading Destination. Lisbon got the award for the Best City Break Destination. It’s the first time that an European country wins such award. Among the 17 destinations running for this recognition were countries like Brazil, Greece, USA or the Maldives. A couple of months ago Portugal had already won the award for Leading European Destination. Portugal keeps attracting more and more tourists and foreign residents. This is another recognition adding to many accomplished during the last years. A couple of months ago, Lonely Planet placed Portugal among the top destinations for 2018. Lisbon, that has also been gathering multiple awards as destination for a while, was as well among the winners at the World Travel Awards Ceremony. This city was the top choice in the category for best city break destination. 422 million adults worldwide have diabetes. The prevalence of this condition is rising at a faster pace than before particularly among low and middle income countries. There are different types of diabetes. Only type 1 is not preventable. In all cases, the consequences might be severe: vision loss, kidney failure, increased risk of heart attack and stroke and even lower limb amputation. Type 1 diabetes cannot be prevented and what causes it it’s still not known. In this case, the body does not produce sufficient insulin and requires a daily intake of insulin to compensate. Type 2 diabetes happens when the body produces sufficient insulin but doesn’t manage to use it well. It used to happen only in adults but lately can be found in children as well.This is the most common type and is normally associated with being overweight and conducting a sedentary lifestyle. Therefore, diabetes type 2 can be prevented or delayed with a healthier lifestyle. Gestational diabetes is temporary a condition that occurs during pregnancy and is characterized by hyperglycaemia. It represented and increased risk during pregnancy and delivery and can lead to diabetes type 2 in the children in the future. Leading a healthy lifestyle and not smoking are important steps to prevent diabetes type 2. Additionally, only 30 minutes of physical activity per day can make a difference and help you to keep a healthy body weight. Book a consultation with a nutritionist if you are looking for help to live a healthier and more active lifestyle! Medical Port visited the tech conference that brought people from all over the world to Lisbon. The future of health was among the topics discussed at the Web Summit. From alternative therapies to wearables, transplants and hybrid humans: a broad range of topics were discussed at the Web Summit. The possibility of ever achieving a disease-free world was debated, but the opinion was clear: the majority of the attendees agreed it is quite utopic to ever achieve of such thing, despite the great advances of science. Longevity was also discussed: could 125 be the new 80 in the future? Maybe, according to Gabriel Otte, who runs an enterprise working on disease prevention. Unfortunately, not all can be controlled by us, as the key seems to lie on a combination of genetics and lifestyle effects. However, Gabriel Otte recommends us to be as proactive about out general health as most people are with their teeth – checking it regularly and focusing on prevention. Medical Port can help you keeping up your health and taking preventive steps during your stay in Portugal. Contact us for more information! The country comes third in the Lonely Planet ranking. This is just another of many international recognitions portraying Portugal as a desirable tourism destination. Already thinking about where to go next year? Lonely Planet, reknown worldwide for its travel guide books, places Portugal in third place in the top ten countries to visit next year. Last year, Lonely Planet had already featured Azores as one of the must visit regions for 2017. This recognition comes after multiple others throughout the last few years and emphasizes the international appraisal of the country potential. Last month, at the World Travel Awards, Portugal got 37 “tourism oscars”. 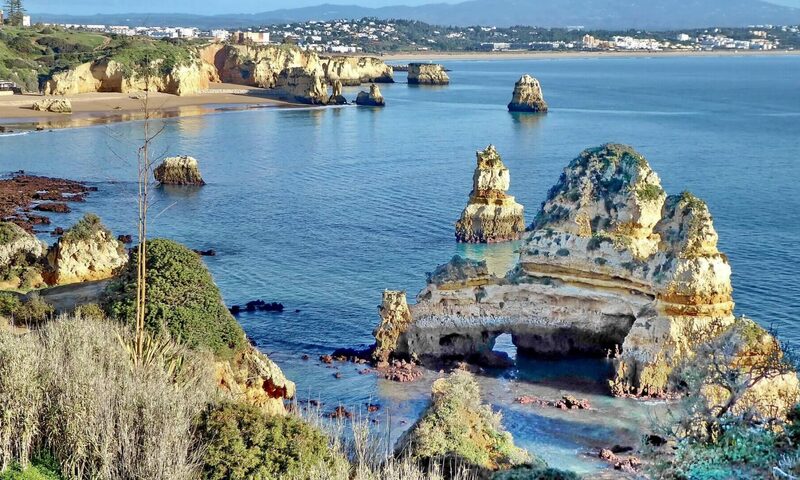 It was the most awarded country in Europe, gathering nearly 30% of the awards, including the prestigious Europe’s Leading destination along with the Leading Beach destination – the Algarve and Leading Cruise Port – Porto de Lisboa. … at least for 8 reasons. Lisbon remains the city receiving more tourists in Portugal, but CNN explains why Oporto has much to offer as well. Lisbon has the Tagus river but Douro’s landscape – a World Heritage Site – with its slopes and vineyards going on and on is one of a kind. The view of the river passing by the city, with colourful houses on Oporto side and wine cellars on the opposite side is also breathtaking. Additionally, the riverside area in Oporto – Ribeira – has been able to keep its authenticity, unlike some neighbourhoods in the capital. The article also dares to mention the beaches! Lisbon is not far from the beach but Oporto is even closer! Sure the water is a bit chillier, but there are kilometres and kilometres of beautiful beaches nearby, either if you head north or south. Port wine is always on the list when talking about Oporto, so is Café Majestic, an iconic “belle epoque-style” coffee house. Tripes – “a mess of white beans fortified with pig’s ear, calves’ foot, cow’s stomach (aka tripe) and a cartload of other chewy bits” has such symbolism to the city that its inhabitants are gently called “tripeiros” – tripe eaters. Though considerably smaller than Lisbon, Porto also has an exciting nightlife environment to offer. Nearly 400 000 foreigners are living in Portugal. Unlike previous years, more individuals are coming from European Union countries. A recent report by the Immigration and Border Service in Portugal reveals that more foreigners are choosing to live in Portugal. Nationals from Portuguese speaking countries, like Angola and Brazil, continue to represent a great part of foreign residents in Portugal, but their numbers are decreasing, while residents from other countries of origin are growing. France, UK, Spain and China are the ones with higher growing rates. At a slower rate, yet increasing, is also the number of American residents in Portugal. According to the report, friendly taxation for non habitual residents, as well as being perceived as a safe country are some of the reasons to attract foreigners. Best places to live: what makes Portugal so special? You can also click to contact us via email. Lisbon cultural side and the welcoming start-up environment are the recent aspects of this city that have been recognized abroad. The capital of Portugal remains an attractive and trendy destination for tourists, people looking to relocate and entrepreneurs. Gulbenkian Museum and the gardens surrounding it, perfect for a relaxed afternoon under the sun. the MAAT, the most recent museum in the city and currently shortlisted in the category “Building of the year” in the World Architecture Festival. flea markets and bric-a-brac stores in different parts of the city. as well as multiple places to eat! Read the full article to learn more! In the ranking by “PeoplePerHour”, a large UK-based platform for freelancers, Lisbon comes in fourth place in a world ranking, ahead of cities like San Diego (USA) and London (UK). The ranking evaluates aspects like life quality, cost of offices and easiness to start a new business. Portugal is also the host city of the renown WebSummit, “the largest tech conference in the world”, yet another proof of the city’s value for entrepreneurs.